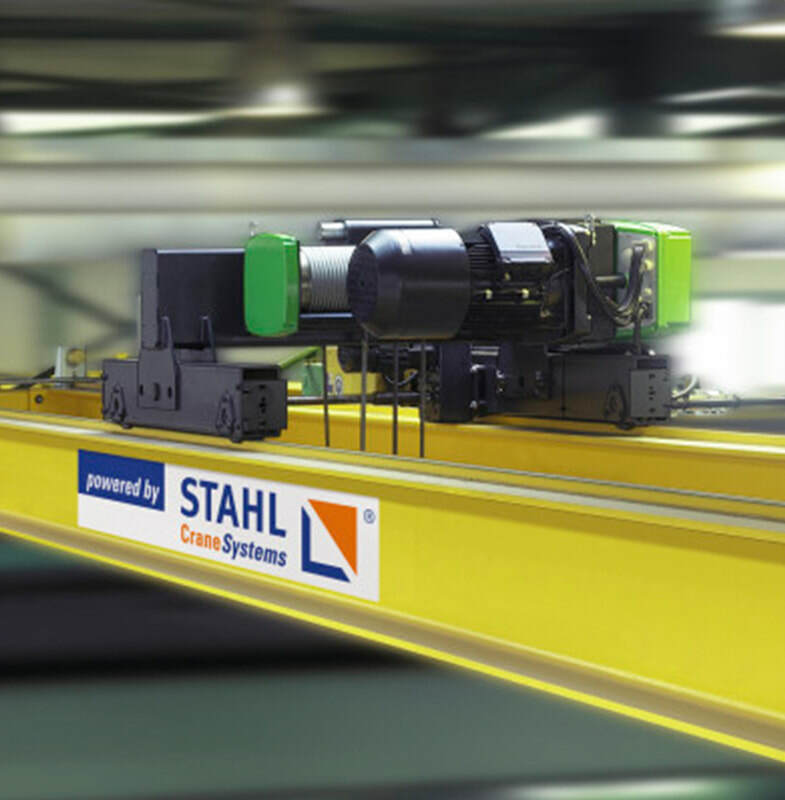 We provide Stahl wire rope hoist manuals with the purchase of any Stahl hoist as we are a trusted Stahl distributor. 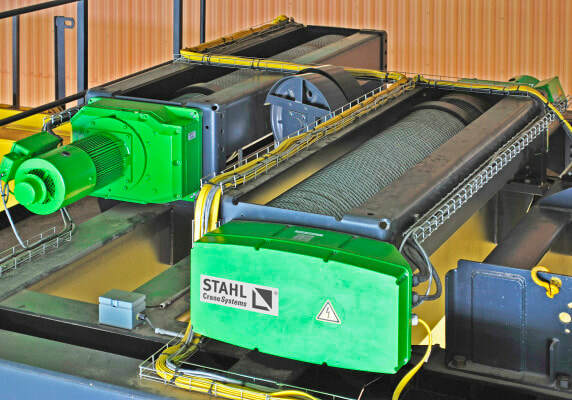 If your company is looking for an electric wire rope hoist with motorized trolley then we definitely recommend taking a close look at the Stahl line of hoists as they have a robust design which is both consolidated and strong resulting in a final product which is rated as one of the lowest-maintenance hoists on the market. These wire rope crane hoists have above par dependability, strength, and longevity through rigorous use. 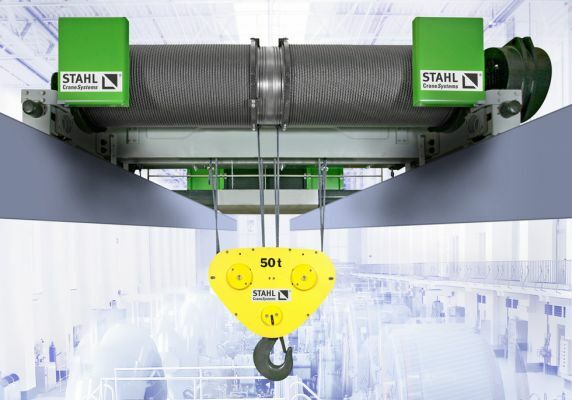 Everyone is aware that one of the top rated hoists across the globe is the Stahl SH series which has a standard simple to maintain design allowing for a vast selection of in stock and custom order lifting solutions. This series comes with lifting capacities ranging from 0.5 tonnes to 28 tonnes and also is available with 5 different frame measurements. This series is an excellent selection if your company requires a standard 10 ton wire rope hoist. Make way for the heavy lifters; this is not your average packaged hoist design. 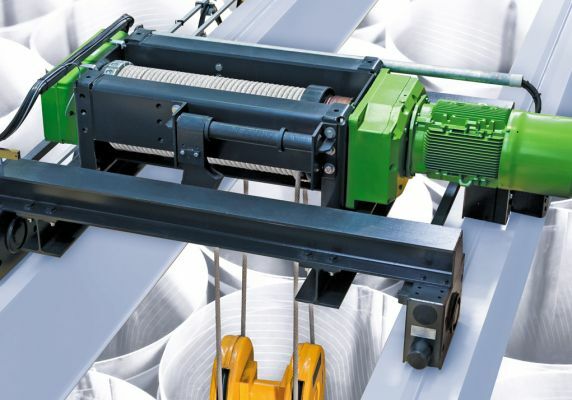 Our innovative large capacity hoists and winches can lift up to a maximum of one hundred and sixty tonnes. ​This is your ideal hoist for rigorous and continuous lifting applications. This design has reduced reevings in order to improve the space saving design and competitive price point. When it comes to selecting new lifting equipment sometimes the most obvious solution isn’t always the best. When buying a hoist its important to look at quality, cost, and capability. In many cases a dual hoist from Stahl can save you money and be better suited for your application than a single hoist from another supplier. This configuration allows for a faster lifting speed and also a much higher height of lift. This design is available up to a SWL of 125,000 kilograms. If you thought the SH series was great just wait until you read about the AS7 hoist as it comes with standard lifting option up to 125 tonnes in capacity. 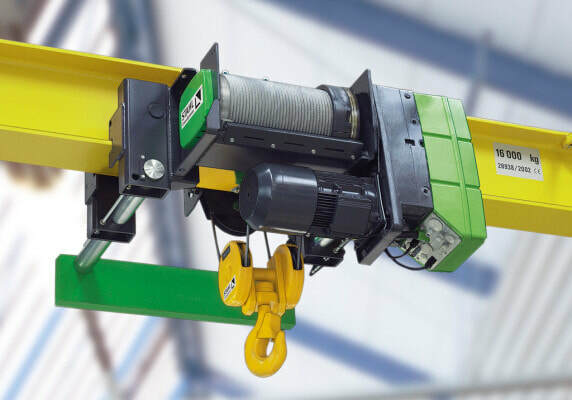 If you’re looking for wire rope electric hoist manufacturers who design powerful lifting equipment for compact spaces then you’ve come to the right place. This hoist can be foot mounted or fixed to a motorized trolley and is suitable for double girder top running overhead cranes. It's built with a powerful motor and braking assembly for both strength and safety. Source Industrial Crane is also well known for being one of the best stainless steel wire rope hoist manufacturers in the area. Some people like to shop around and see what they are getting in terms of dollars and cents. Complete the form above and ask us for our 5 ton electric wire rope hoist price list or a price list for any other capacity as well. If you have an immediate concern or question then feel free to call our office directly at ​416-948-9082. You can have the option of speaking with one of our 2 ton electric wire rope hoist manufacturers, an engineering expert, a service coordinator, or even one of our certified safety trainers. We look forward to assisting you with all of your requirements and we can even supply you with electric chain hoists from top manufacturers.